At St Stephen’s School we grow people and we see teaching and learning as an opportunity to engage with each other in exciting learning experiences. Our use of technology is paramount in supporting these engaging learning relationships. The “Bring your own mobile technologies” Many2One program has been in place for the past six years at St Stephen’s School and runs from Years 5 through to 12. We provide university level wireless infrastructure that caters for 9000+ mobile device connections. The Many2One “Bring your own mobile technologies” program runs from Years 5 to 12. Year 5 is considered a “phasing in” year where a personal mobile device is recommended. The majority of Year 5 students acquire their own device during Semester 1 and it is expected that all students will have their own device by Semester 2. All Years 6 to 12 students are expected to bring their own mobile device to school from the commencement of the year. We are a Bring Your Own Device School. The majority of students in Years 5 to 7 tend to bring a tablet device such as an iPad. By the time students are in Years 8 to 12 and start looking at a replacement, many students transfer to a laptop or notebook device such as a MacBook Air, Windows flip style notebook or a Windows notebook/tablet hybrid. Decisions are often shaped by the subjects they are studying and the type of device they might use beyond school. A suitable, portable device is part of the learning landscape. The life of a device is approximately 3 years before students want to upgrade to a newer model that can handle the increased demands of new features and operating system resource requirements. We would recommend that you purchase your child’s device just before it is needed so it will give you more time before an upgrade is necessary. In our “Bring your own browser” environment where the majority of applications and software tools are internet based, devices now come equipped with most of required software. The class teacher will recommend any applications that need to be purchased specifically. All students are given a Microsoft Office 365 subscription which includes the Office Suite for up to 5 devices (Windows, Mac, iPad), Office online and 1024 GB of cloud storage. The most important accessory you need to buy is a solid protective case and/or bag to ensure your child’s device survives the rigors of the school environment. It is commonplace that secondary students also carry with them a smartphone that doubles as a tablet device and can be used for educational purposes. The modern smartphone is now so powerful that it is starting to replace tablet devices like the iPad. This is most apparent in Years 10 to 12. In order to assist you with purchasing devices, Winthrop Australia have created St Stephen’s School Device Portals where you can order our recommended devices and accessories online. Please note that we have reviewed all these devices and provide them as a recommendation only. We have based our recommendations on educational suitability, quality, warranty and value for money. All ordering and after sales service is independent of St Stephen’s School. 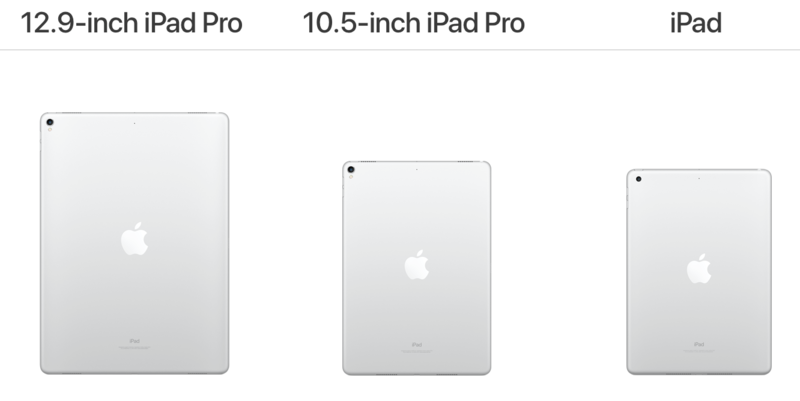 iPad or iPad Pro. Wi-Fi only model with 32 GB minimum storage. Thank you John for your reply. These device recommendations are carefully selected to ensure they are educationally suitable within a school environment, highest affordable quality and robustness (above consumer retail), suitable warranty and value for money. They need to last for around 3 years and hence have the specs to match. Modern devices are tools created for recreational and professional purposes and were not designed, at least initially, for educational use. We have selected tablet and notebook devices that we believe best serve well as learning aids and are adaptable for use in the classroom. Each child is on a unique, differentiated and personalised learning journey and no device suits everybody. These are our recommendations but they are not prescriptive and you are free to make your own choices. It is common practice for other catholic and independent schools to only allow certain device packages and their specifications are similar. The link to the purchasing portal is not found. The purchasing portal links have been updated to the portals for 2019.